LANDSEASKY brings some of the most interesting and challenging video artworks from 20 international contemporary artists to 3 different countries in a major Asia-Australia tour. Meditating on the motif of the horizon in sublime and complex ways, the exhibition features sharp contemporary artists occupying and transgressing screen space. 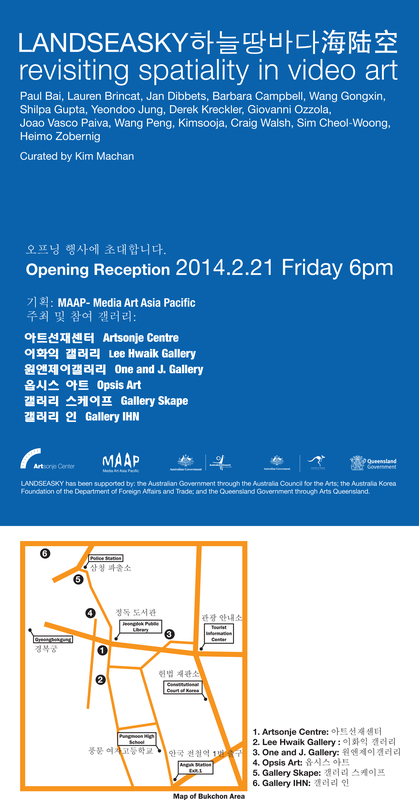 The exhibition tours to South Korea, China and Australia across multiple prestigious museums and galleries in 2014.